A striking illuminated work for the gable end wall of The Hat Factory Arts Centre which has become a visible beacon and recognisable icon for Luton. 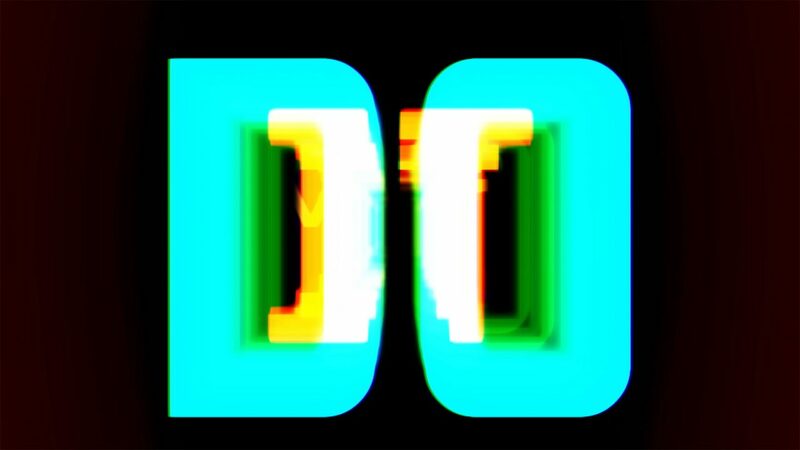 For the September launch of ‘As You Change, So Do I’, Mark Titchner will produce a hypnotic new video artwork in partnership with Sedition, the leading online platform for distributing digital art editions for display on screens and devices. 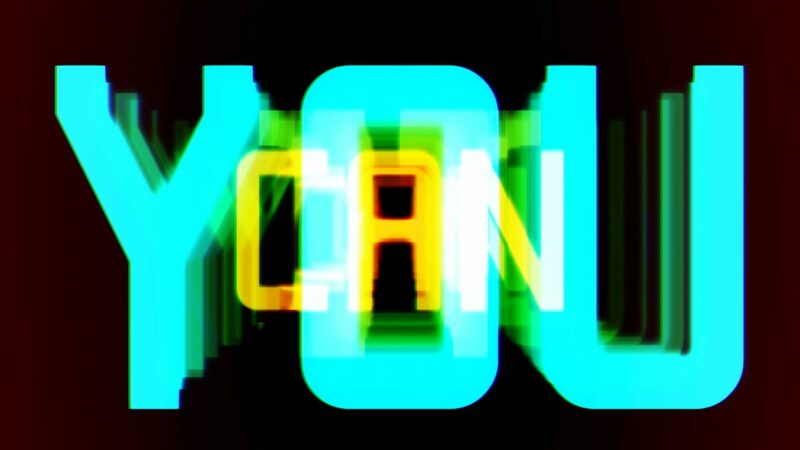 The new work, ‘If You Can Dream It, You Must Do It’ will be available as a free edition from www.seditionart.com/mark_titchner. 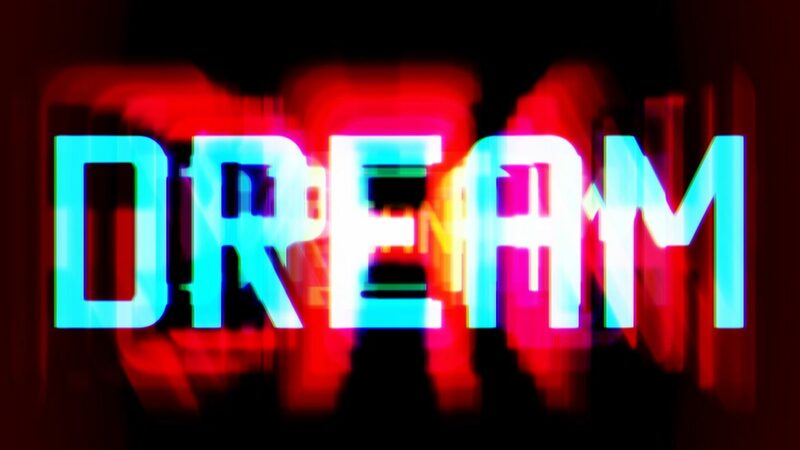 The work can be enjoyed on TVs, tablets, computers and smartphones through the browser or using the Sedition apps for iOS and Android. This work will be the first in a series of editions produced for ‘As You Change, So Do I’ that extend the notion of contemporary art in the public realm in a post-digital context. 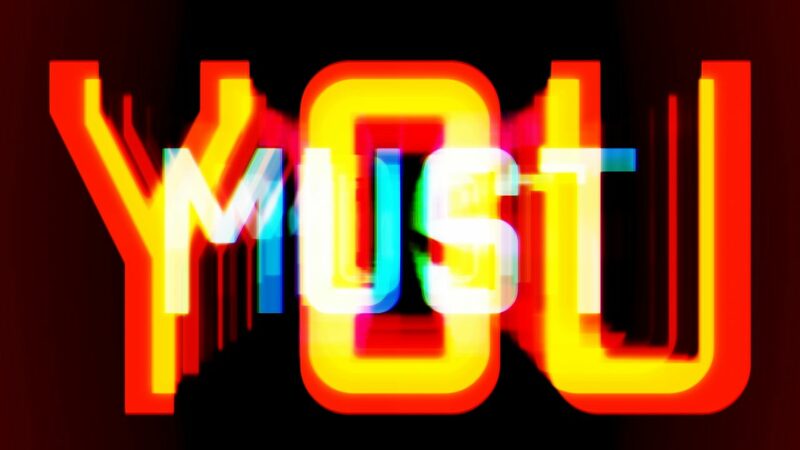 Mark Titchner was born in 1973 in Luton and studied at Central St Martins College of Art and Design. His work involves an exploration of the tensions between the different belief systems that inform our society, be they religious, scientific or political. He works across a number of media including digital print, wall drawing, video, performance, sculpture and in his installations he often employs motifs taken from advertising, religious iconography, club flyers, trade union banners and political propaganda. The common denominator among this material is a quest for idealism and enlightenment; a desire for some form of transcendence. He has exhibited extensively internationally, was nominated for the Turner Prize in 2006 and participated in the 52nd Venice Biennale in 2007. Over recent years his practice has focused on the production of public works including permanent works in London, Manchester, Toronto and Warwick. Titchner’s works are held in many permanent art collections, including Tate; Arts Council Collection; British Council Collection; The City of London; Government Art Collection, and South London Gallery. 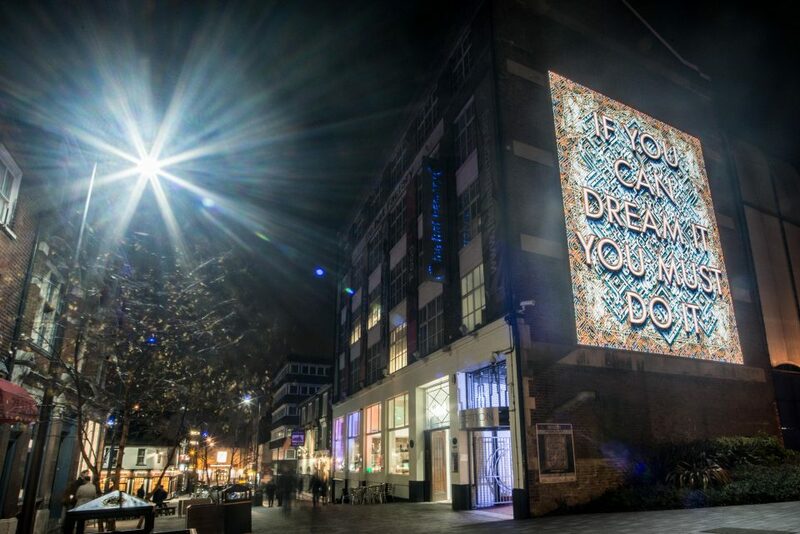 In December 2016, Mark Titchner, the lead artist for ‘As You Change, So Do I’ plans to install a major new public work in Luton town centre. A monumental light box titled Beacon (2016) will occupy the gable end wall of The Hat Factory Arts Centre facing the approach from Luton’s central railway station.